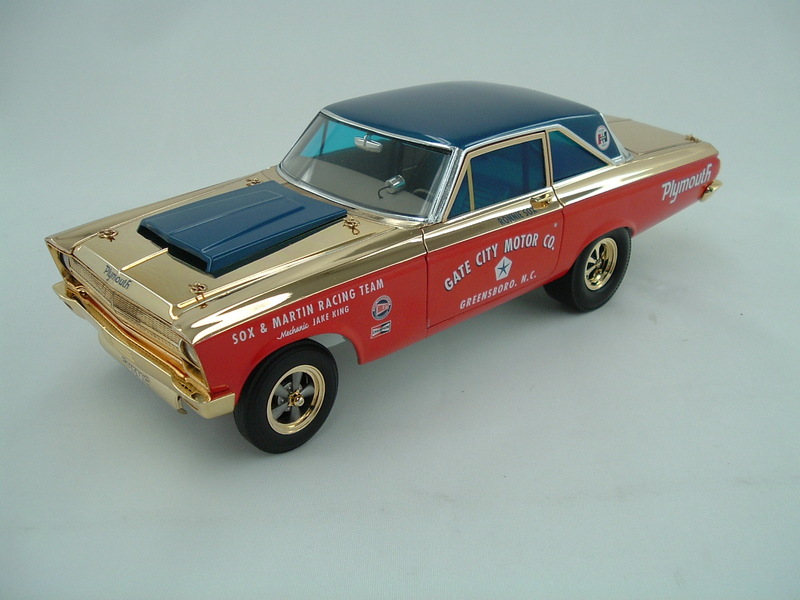 Our friends at Supercar Collectibles recently shared photos with us of an ultra rare 1:18 Gold Plated Sox & Martin ‘65 Plymouth altered wheelbase car. 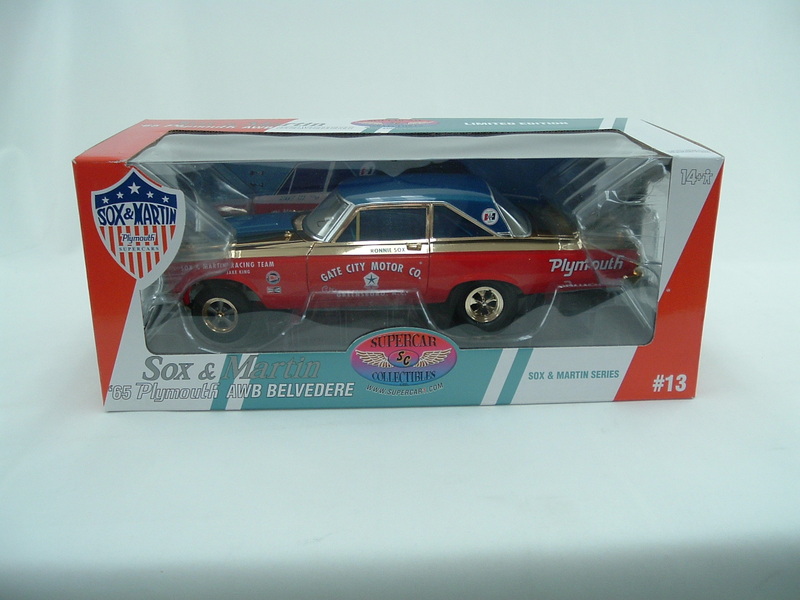 Just 12 were made, with some going to Diane Sox, Buddy Martin, and staff at Supercar Collectibles. 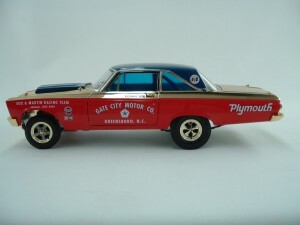 Just 2 of these cars are being auctioned, via ebay at AUCTION LINK ending the afternoon of Friday October 7th, 2011. WOW! what a collectable! love to have it. i love the old mopars!